Over the weekend, I spend some quality time away from the crazy hectic routine in Malacca, for some good food, shopping and of course spa pampering session. 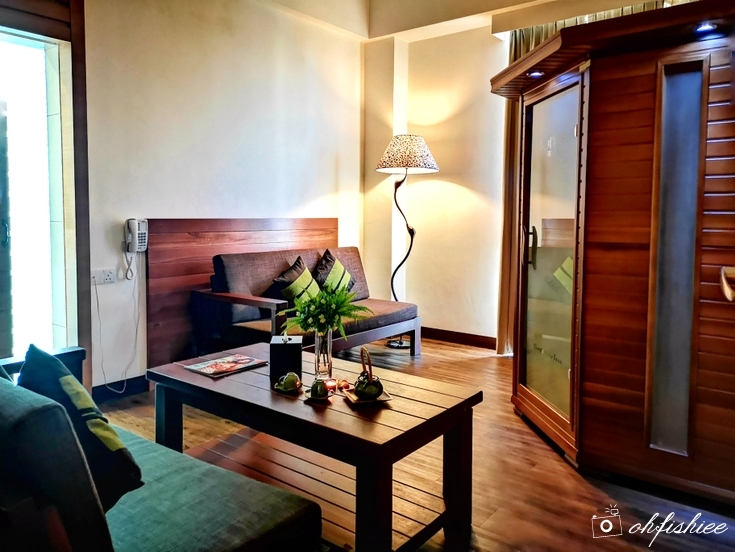 Spa has been something I really need since months ago, and I'm glad to have this opportunity when we check into our hotel, Swan Garden Hotel in the Malacca town area. 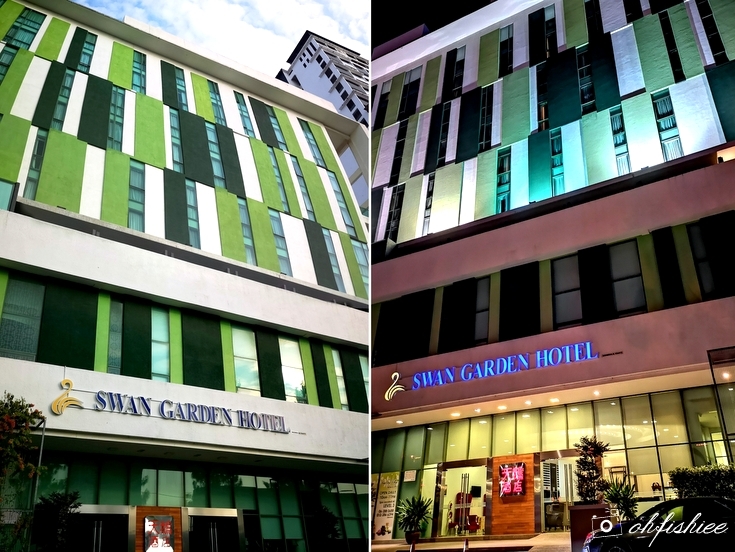 You can easily spot Swan Garden Hotel in its green and white hues from far. 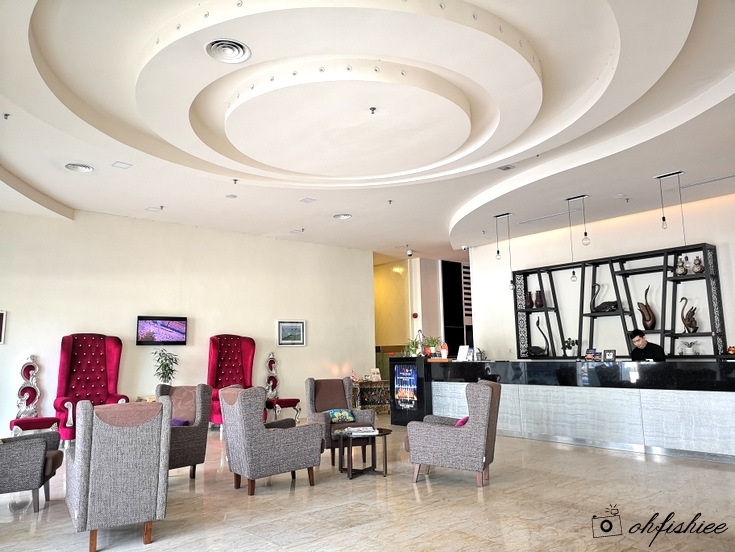 Although it is a 3-star hotel, it looks very welcoming at the lobby and offers an overall decent stay for us. We have spotted this corner at the lobby where Swan Spa Village is having a promotion for massage therapy. Well, since it is a relaxing trip and we have plenty of time to spare, why not give it a try? 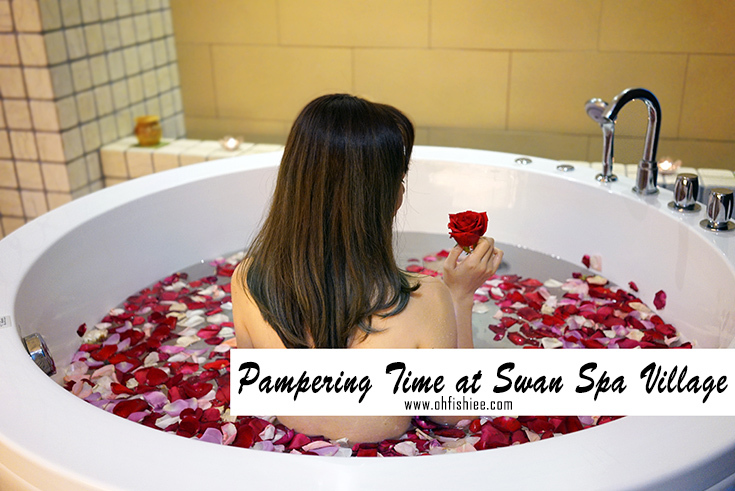 Swan Spa Village is located on the 3rd floor of Swan Garden Hotel, Malacca. Upon arrival at Swan Spa Village, it welcomes us with comforting sounds of flower water, relaxing music and aromatic fragrances in an inviting ambiance. 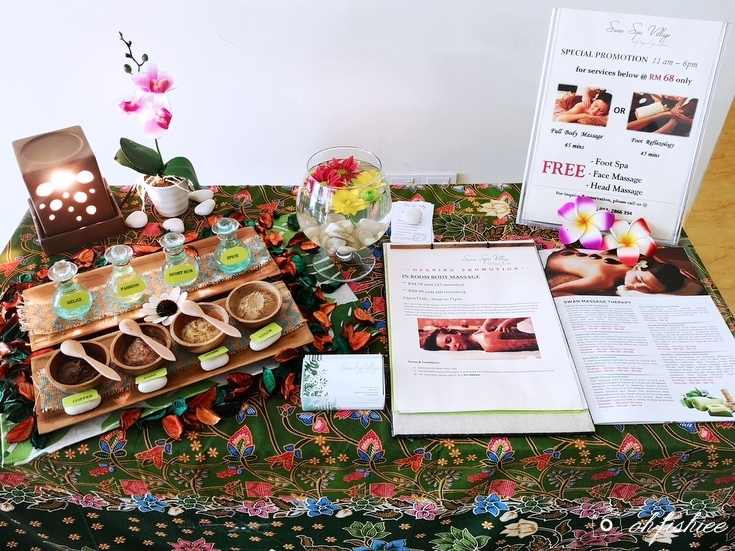 In fact, this place brings together the natural healing traditions from the East and its very own personalized elements for the best of truly tropical spa and wellness experience to customers. All treatments in Swan Spa Village use natural botanical and aromatic ingredients such as specially blended pure essential oils to enhance the massage experience for a total relaxation of mind and body. The treatment I choose for the day is a detoxifying and purifying spa ritual treatment which begins with a foot soak, followed by a body exfoliation to refresh the body and traditional herbal compress massage. As we are ushered to our private room, it feels like entering into another space of Zen and calmness. The best part is, we can have this entire room to ourselves without having any disturbances. Let's begin with some tea before the treatment. Sauna service is available too (charged separately). It is then followed by a Ginger Salt Scrub which combines pure scents to soothe the mind while removing the outermost layer of dead skin. How nice it feels to reveal the soft, supple and young-looking skin once again in just 45 minutes. Then we have a bit of time to spend in the Jacuzzi which is perfectly nice to fit two persons. Soaking myself into the warm water for 20 minutes gives a sense of relaxation and soothing those overworked muscles. Look at those beautiful floral petals! How sweet the team is for preparing this tub of warm water. We get to drink and snack on some cookies while enjoying the Jacuzzi session too. Great time passes fast, and we are at the final stage of our spa treatment -- Herbal Compress Massage -- in the massage room. Perfect for a couple session! 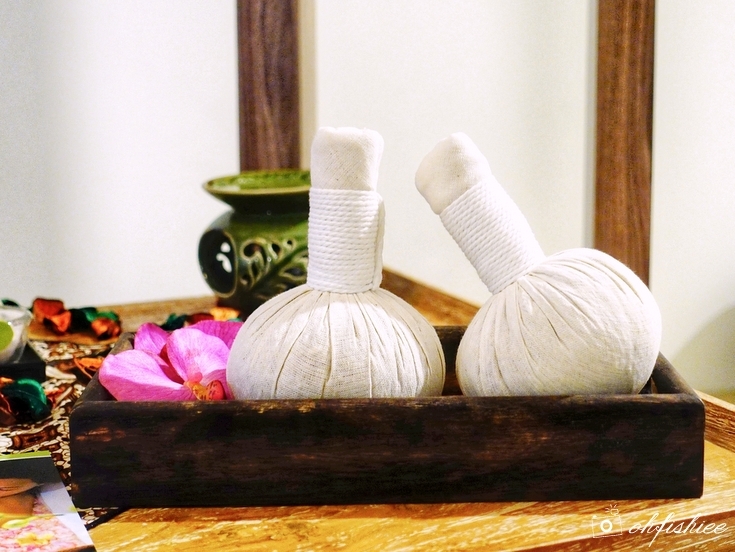 Traditionally, to relieve muscle aches and joint pains, the Balinese villagers have bundled homegrown herbs and spices into a warm herbal compress (the round ball shown above). 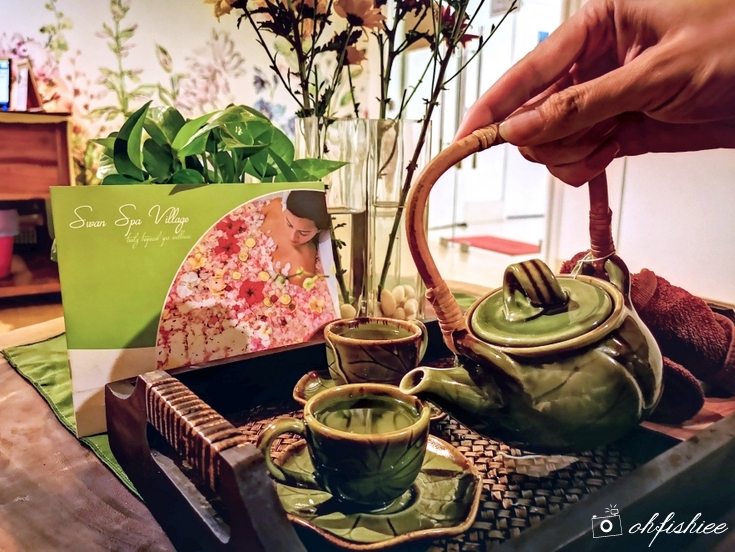 Whereas, Swan's own "warm remedy" ritual combines compresses of kaffir lime, prai and camphor chamomile, lemongrass, ginger, cloves and star anise with a signature body massage session. When the warm compress balls touch my body, it feels like an instant relief on the body aches after "unblocking" those blood vessels and veins. It can make one fall asleep like a baby during the treatment too. 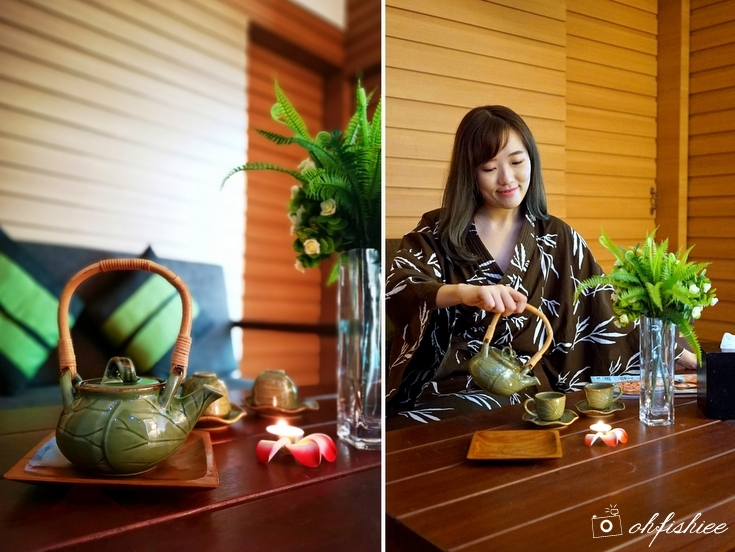 After 2 hours of relaxation, we sip on some green tea before bidding goodbye to this lovely spa sanctuary with lighter and happier hearts. 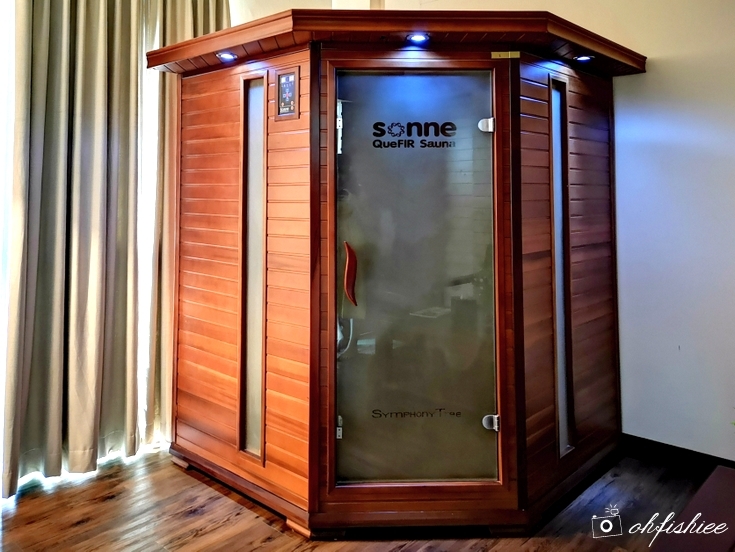 Whether you prefer a single treatment or a pampering spa package, the experience is sure to be a relaxing and rejuvenating one without burning a hole in the pocket.